Don’t worry if you see the Chrysler 300 and suddenly feel lightheaded, breathless, and speechless all at the same time. 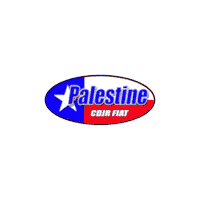 Our team at Palestine Chrysler Dodge Jeep Ram FIAT is used to this reaction to the size, beauty, and quality of this car. We can help you catch your breath and make this the right car for you to drive home to Athens, TX today. Shopping for a full-size sedan can often feel like a compromise for you, but not when you visit our team and choose the Chrysler 300. This amazing sedan is one that’s offered with powerful engines under the hood to increase the desire you felt when you first saw the beauty of this car. Step inside the cabin and it will be hard for our team to pry you out of the car as you take a look around at the quality materials, an incredible list of features, and smooth style offered. This is a car you want to take out on the road and might never want to stop driving. We’ll be glad to take a test drive with you; just promise you’ll bring us back to the dealership at some point during the drive. Once you’re over the initial amazement you find in the Chrysler 300, does this car offer what you need? The easy answer is certainly “yes” when you see the roomy and comfortable cabin filled with technology, advanced safety features to keep you safe, connectivity you want, and feel the powerful engine that handles the load. The cabin is quiet for the drive and the trunk offers you an amazing amount of space to make this the car you’ll want to take your family for a long weekend trip or vacation in this year. Whether you’ve seen the Chrysler 300 in the past or this is your first time, our team will point out the new items offered to show you how this car has improved for the 2018 model year. Take a seat on the upgraded cloth upholstery and feel how comfortable it is. Check out the attractive 17-inch wheels the car rides on, and open the hood so you can listen to the 5.7-liter Hemi V8 engine roar from under the hood of the 300C model that you can choose for your drive around Athens, TX. When you look at the Chrysler 300 and think it’s the perfect car for you to take from our dealership in Palestine to be your daily drive around Athens, you’ll see there’s one more thing that you can choose for the drive. This is a car that offers AWD and is one of the only models in this class to bring you this benefit. Let our team at Palestine Chrysler Dodge Jeep Ram FIAT help you see how this added feature can benefit you. This is an item that will cost you a little and give you a lot when you secure the deal you want with our team for the Chrysler 300 you’re going to love to drive.